Gilberto Gil (vocals, guitar); Nicholas Krassik (viola); Sergio Chiavazzoli (guitar); Toninho Ferragutti (accordion); Arthur Maia (bass); Jorge Gomes, Gustavo di Dalva (percussion). 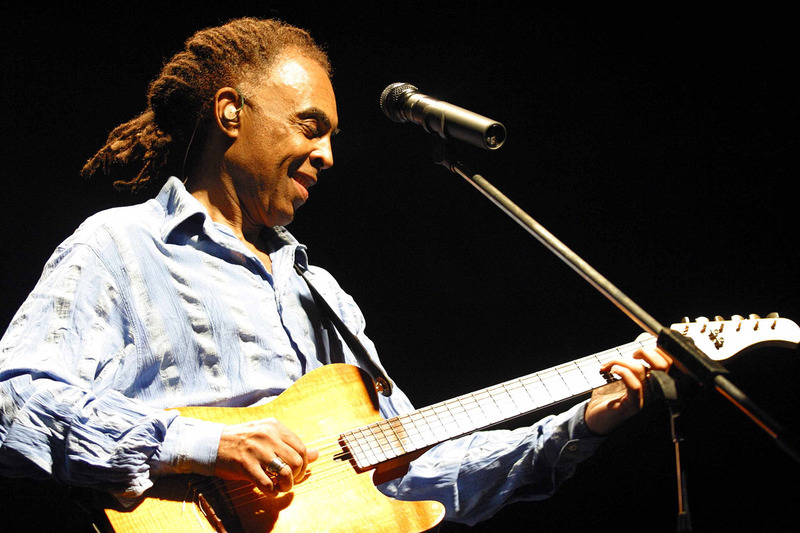 A former protest singer who became Brazil's Minister of Culture, Gilberto Gil (1942). As a guitarist, singer and composer, Gil was one of the founders of tropicalismo in the sixties. Due to the inflammatory nature of the movement, he quickly fell into disfavor with the military dictatorship and in 1968 he moved to London together with co-founder Caetano Veloso. On his return to Brazil in 1972, the popularity of tropicalismo proved undiminished but Gil himself soon began to look for new musical paths. After immersing himself in the music of Jimi Hendrix, The Beatles, reggae and samba, in recent years, Gil has paid particular attention to the baião of northern Brazil. In Rotterdam, Gil will be supported by six excellent performers: Sergio Chiavazzoli (guitar), Arthur Maia (bass guitar), Jorge Gomes (percussion), Toninho Ferragutti (accordion), Gustava di Dalva (percussion) and Nicholas Krassik (violin).